You can DIY your website, but are you getting exactly what you have in mind? Yes, there are tech consultants and web agencies but you’ve to shell out big bucks to get their service. You need Goodspring. Based in Brisbane, Goodspring isn’t your conventional web agency. They cater to any type of small and medium enterprises, but they’re best suited to those who want to control costs and take charge of the content and administration. We’ve tapped Garet Griffin, the man behind Goodspring, to talk about his experiences in the tech industry, his fave WordPress tools, the business he nurtured and the other things close to his heart. A quick intro: Who are you and what’s your background? Professionally, I consider myself a ‘strategic software consultant’. 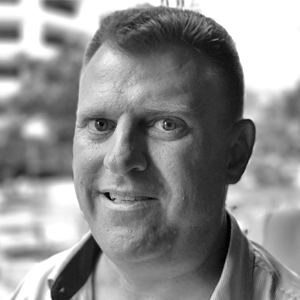 I’ve been involved with software in one form or another for over 34 years now, spanning two continents, a variety of roles and multiple market segments. My consulting work in the enterprise space has largely centred on the Microsoft information management landscape, helping large organisations cope with keeping pace and finding better ways to get value from the tools. This journey has taken me through development, data management, web, mobile and, more recently, voice technology. Like many people in the industry, I started out tinkering with the technologies that were emerging just before the internet was born. Back then it was all about the tech, but as I’ve grown older I’ve realised its really all about people and the ways they encounter and embrace (or sometimes fear) the technology. How did you get started with Goodspring? The entrepreneurial bug has been with me since I was a kid, retailing wholesale candy out of my locker at school. Following on from a few previous incarnations, creating a service offering in Sydney some years back, I began to realise there was a gap to be filled in the web space. Despite the proliferation of ‘quick’ site tools, freelance consultants and full spectrum agencies, I was constantly meeting small and medium businesses who were dissatisfied with their experiences and generally paying way too much for their websites. Goodspring was created to specifically address the need I was seeing. I wanted organisations to have a flexible design, the ability to manage their own content without paying extra, complete portability when they leave the service, and scalable levels of support. And I wanted to deliver all of these as a monthly service so they could avoid large upfront costs. We also spent a large amount of time and energy narrowing down the platform, themes, plugins, approaches and hosting that would pack the best punch. Who are your target customers and what do you offer them that differentiates you from other digital agencies? We are quite transparent that Goodspring may not be for everyone. We believe our offering is best suited to small and medium organisations who want to control costs, and are willing to absorb some of the content and administration burden to do so. We are also an easy decision for startups, one-man bands, ‘mum-preneurials’ graduating off of Facebook and many others. We can scale our design and support to full service but generally find these types of organisation want to be trained and involved in their site, rather than pay extra for an agency to do everything. Ultimately, we want things to be easy and pleasant. Most technologies still represent a headache for business owners despite the value they may bring. We aim to improve that situation with how we engage and how we partner. Tell us about your ‘plugin stack’: What plugins do you prefer using and why? We made the decision a decade ago to stay strictly WordPress. Having spent some time in the dev communities of a few other CMS systems, it became clear WordPress was going to be a real winner. We have groomed a selection of core extensions specifically to minimise coding, open up greater flexibility to the customer-administrator and open WordPress up for a variety of e-commerce and content management scenarios. We have fallen in love with Divi by Elegant Themes, Toolset by OnTheGo Systems, Gravity Forms and of course good ol’ WooCommerce. Your Presence and Full-Service plans include WooCommerce, so aimed at e-commerce businesses. Can you tell us about a WooCommerce project that you’re particularly proud of? We generally use Woo for most e-commerce projects, particularly those involving subscriptions or memberships. Our own subscription engine is based on it. Last year we had a traditional project (non-subscription) for a high profile invite-only gym organisation based in Salt Lake City in the US. The project was challenging from a design and content migration standpoint, but it also pushed the boundaries for WooCommerce. The site sells recurring memberships with member-only content, additional virtual subscriptions, ad hoc virtual downloads, paid event registrations and a range of physical products… basically every kind of online product in one site. We were able to accomplish everything using WooCommerce + the Membership and Subscription add-ons and Divi. 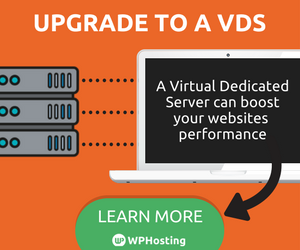 Moving onto the new site the customer was able to drop their costly dedicated server, relational database licence and their somewhat expensive agency. You use Divi as your Theme and Visual Page Builder. Why did you choose it and how does it fit into your workflow? The visual builder landscape is always evolving and we like that. We had been using another pretty amazing theme initially, but as it happens sometimes that company had some trouble and didn’t make it. The team at Elegant Themes who make Divi has consistently set new standards for what can be achieved with these tools. While purists can argue about where Divi may fall short, we continue to rank it highly given the extent to which it keeps us from spending our customers’ money on coding, and how well customers take to it themselves. We continue to keep our eyes on the newcomers in this space… of which there are several that are worth watching. At the end of the day, we will always come to Divi because they keep pace with changes and have outstanding customer engagement. Thinking about the next 12 months, what’s in the pipeline for Goodspring? 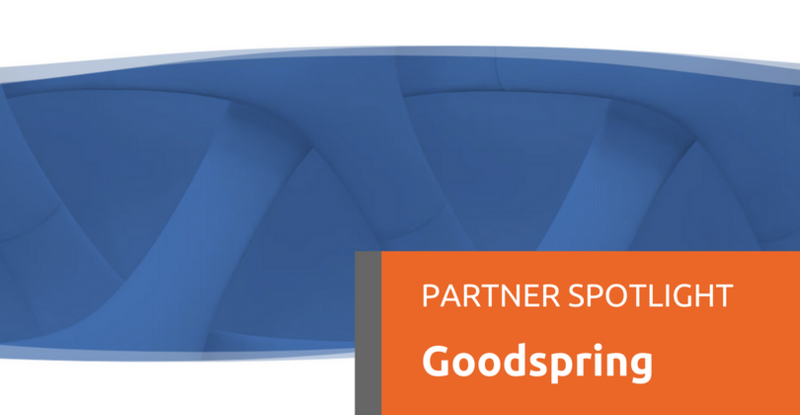 The recent relaunch of Goodspring represents the first stage of our strategic plan for the next few years. As we test the market with our packages and fine tune them, we are also working to build out richer support management, a member-only knowledge base and some ideas to get WordPress better connected with Microsoft Office 365. That’s a fun question. I guess it depends on who’s listening. For anyone just starting or contemplating a new business, I can only say: Just don’t give up, and if you crash, get up and try again — but much wiser. For established businesses, I will always recommend developing a network of trusted technology advisors to stay on top of what’s changing. In terms of the level of capability that can be had for low cost, we are arguably living in a Golden Age, but with so many choices it’s hard to see clearly. I still believe what I was taught in high school physics class: Beauty is generally simple and simplicity is generally the truth. I couldn’t resist commenting. I like Elegant Themes too. hello! I really like your blog posts. I shared them. Taking a look ahead for more. Good write-up. More business spotlight, please? This write-up very pressured me to check out and read other stuff in your blog. Excellent! Spot on with this write-up, I honestly believe this amazing site needs a great deal more attention. I’ll probably be returning to read through more, thanks for the information!